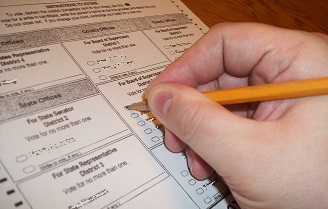 In Osceola County, no Democrats filed for any nomination. There are two candidates for the Republican nomination to the District 1 Board of Supervisor’s chair. They are incumbent LeRoy E. De Boer and challenger Rochelle Buchman. The other four races have no challengers for the Republican nomination. They are the incumbent Third District Supervisor, Michael Schulte; the incumbent County Treasurer, Becky S. Marco; the incumbent County Recorder, Debora A. Van Beest, and the incumbent County Attorney, Nolan Michael McGowan. 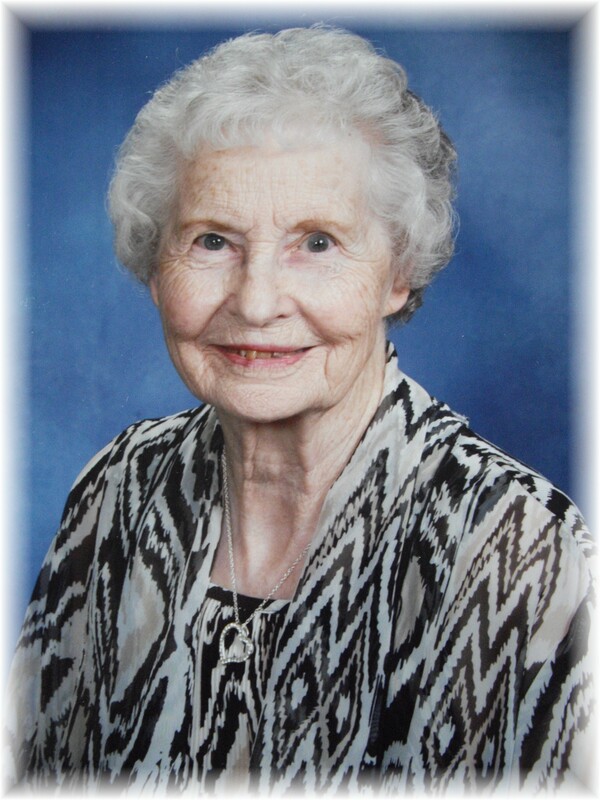 Gertrude Greenfield Hibma, age 93, of Spirit Lake, Iowa, passed away on Thursday, March 29, 2018 at Lakes Regional Hospital in Spirit Lake, Iowa. Funeral Services will be Saturday, April 7, 2018 at 11:00 A.M. at the Christian Reformed Church in Ocheyedan, Iowa. Rev. Bill Van Der Heide officiating. Graveside Services will be Saturday, April 7, following the Funeral Service and lunch, at Holman Township Cemetery in Sibley, Iowa. Visitation will be Saturday, April 7, from 9:00 to 10:30 A.M. at the Christian Reformed Church in Ocheyedan, prior to the Funeral Service. The Andringa Funeral Home of Sibley and Ocheyedan in charge of arrangements for Gertrude Greenfield Hibma. Sheldon Iowa — Sheldon bowler Ron Prostrollo accomplished an amazing feat during league play on back to back nights at Merry Lanes in Sibley. He had 800 series on consecutive nights and 300 games on consecutive nights. On Monday night March 26th Prostrollo rolled a 300 game as part of an 804 series averaging 268 for the three games. He followed that performance with another 300 game the very next night during Tuesday league as he rolled an 801 series. Non bowlers and bowlers can appreciate how extremely difficult it is to do it once let alone on back to back nights. On Sunday March 25th Ron bowling with Sheila Bruxvoort finished second in a mixed doubles event in Huron South Dakota. They posted a 738, 741 and 742. April 31st will bring the next King of the Hill event to the Merry Lanes Center in Sibley as the bridge from winter rec sports leads to the outbreak of full spring weather and the golf season. Sioux Center and Sibley, Iowa — Sibley-Ocheyedan is going to lose a high school principal, but Sibley-Ocheyedan’s loss is Sioux Center’s gain. 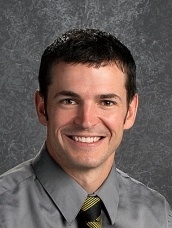 According to Sioux Center Community Schools Superintendent Pat O’Donnell, current Sibley-Ocheydan High School Principal Brent Town has been hired to be the high school principal at Sioux Center High School. O’Donnell says Town has been the principal for grades 7-12 at Sibley Ocheyedan for the last five years and was at MOC/Floyd Valley before that for seven years as a teacher, an assistant activities director, and a coach. O’Donnell says Town and his wife, Chelsea, have four younger children. He says Town will start in early August 2018. He says the position became available after O’Donnell announced his retirement and current Sioux Center High School Principal Gary McEldowney was hired to fill the superintendent chair. According to O’Donnell, Town was hired during the March meeting of the Sioux Center Board of Education. Sibley-Ocheyedan superintendent Bill Boer says the search is underway to find Town’s replacement at Sibley-Ocheyedan High School. He says they’ve posted the position to the Teach Iowa website and other locations. Boer says the listing will close on April 4th, at which time they will do screening and reference checking. He says they hope to do interviews April 9th through the 12th. Sibley, Iowa — The 34th annual production of the Osceola County Ministerial Association Good Friday Passion Play is coming up on Friday. Peg Van Kley is one of the producers of the play, and she talks about this year’s presentation. 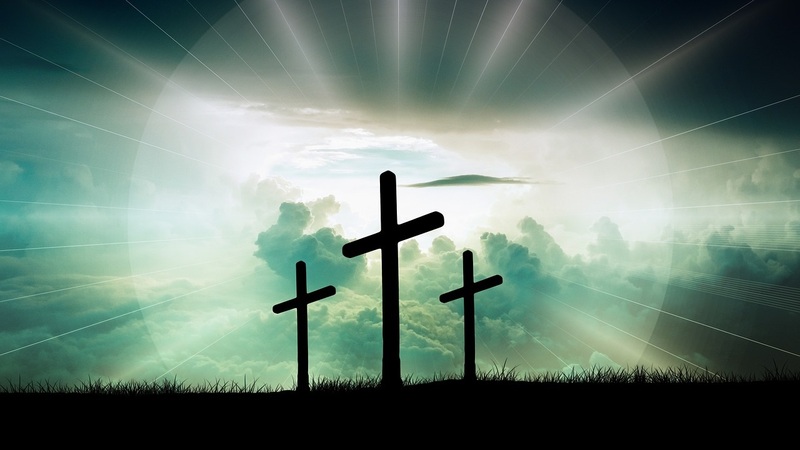 The Osceola County Ministerial Association Good Friday Passion Play will be presented on Good Friday, March 30th in the Sibley-Ocheyedan High School Auditorium. And, according to Van Kley, you can reserve your tickets. She talks about the information you’ll need to include with your email ticket request. As of Wednesday noon, the 7:00 show was completely sold out. But Van Kley says that plenty of tickets remianed for both the 5:00 and 9:00 performances. Van Kley says that attending this special program will heighten your appreciation of what our Lord and Savior, Jesus Christ, experienced on that Good Friday and will prepare you for the glory of Easter Morning. Again, the number to call to reserve tickets for the Osceola County Community Ministerial Association Good Friday Passion Play is 712-754-2945, or email ocmapassionplay@gmail.com. Church groups or organizations may request enough tickets for their entire group, but the Ministerial Association requests that you don’t reserve more tickets than you actually need. Northwest Iowa — Winter overnight parking bans in a number of communities are set to expire soon. Several cities in the KIWA listening area have ordinances regarding overnight parking, especially during the snow removal season. But with the coming of spring, you soon should be able to park on the street again overnight in most cases. In Sheldon, the overnight parking ban expires April 1st. Police Chief Lyle Bolkema says that motorists are not allowed to park on any street in the city between the hours of 2:00 a.m. and 6:00 a.m. from November 1st to April 1st. Violation of Sheldon’s overnight parking ban is subject to a citation that carries a $10 fine. Sanborn’s city-wide overnight parking ban expires on March 31st. However, no parking is allowed from 2:00 a.m. to 6:00 a.m., year-round, on Main Street. Violation of Sanborn’s overnight parking ban carries a $15 fine. According to Sibley city officials, their overnight parking ban will remain in effect until April 15th. 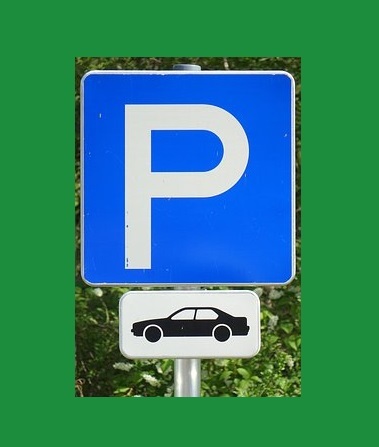 It calls for no parking on any city street between 2:00 a.m. and 6:00 a.m., from November 1st through April 15th. The fine for violating Sibley’s overnight parking ban is $25. Orange City officials say that their parking ban expires on April 1st. It says no parking is allowed on any of their city streets between the hours of 2:00 a.m. and 6:00 a.m., from October 15th through April 1st. The fine for noncompliance in Orange City is $10. There are a couple of cities in our area that don’t have an actual overnight parking ban but do have an ordinance that’s effective when snow falls. So motorists who park on the street need to keep up-to-date on the weather forecast. Hartley City officials tell us there is no overnight parking ban in that city. However, their ordinance says that vehicles must be off the streets when snowfall begins and must remain off the streets until the streets are cleared of snow. Failure to do so will result in a $15 fine from the City of Hartley. Rock Rapids officials say their ordinance expires on April 1st. It bans parking on all city streets and alleys from 2:00 a.m. to 6:00 a.m. — but only during snow removal operations. The fine for non-compliance in Rock Rapids is $25. In addition, no overnight parking is allowed in the central business district year-round. With that being said, even if the overnight parking ban expires for the season in your community — if we get some late-season snow, it’s always a good idea not to park overnight on the street. Your city crews that have to move the snow would appreciate not having to plow around your vehicle. Michael Burke age 80 of Sibley, IA died Saturday, March 24, 2018 at the Sibley Specialty Care Nursing Home in Sibley, IA. Funeral service will be 11:00 a.m. Thursday, March 29, 2018 at St. Andrew’s Catholic Church in Sibley with Fr. Siby Punnoose officiating. Burial will follow in the St. Andrew’s Catholic Cemetery in Sibley, IA. Visitation will be one hour prior to the service at the St. Andrew’s Catholic Church of Sibley. Northwest Iowa — This is Severe Weather Awareness Week in Iowa. Every year, hundreds of people are killed and thousands injured, in the United States, because of the weather. 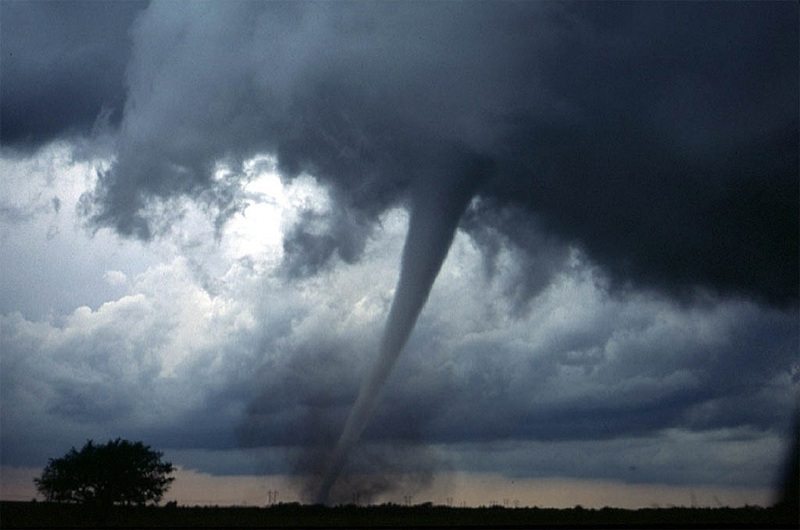 Dangerous weather can take many forms, ranging from violent tornadoes to crippling winter storms. With the notable exception of hurricanes, Iowa can experience any of these dangerous phenomena. Todd Heitkamp is a meterologist with the National Weather Service in Sioux Falls, and he sayd Severe Weather Awareness Week is designed to bring the threat of severe weather back into people’s consciousness. Heitkamp says severe weather, including tornadoes, can happen almost any time of the year in our area. He says the primary focus of Severe Weather Awareness Week will be on a Tornado Drill that’s scheduled for Wednesday morning. 1. KNOW THE HAZARDS – Be aware of the hazards that you might face during a weather event. 2. KNOW WHEN TO EXPECT DANGEROUS WEATHER – Monitor forecasts and information from KIWA Radio. 3. PAY ATTENTION – Be aware of all watches, warnings, and advisories affecting you. 4. HAVE A PLAN TO STAY SAFE – Think about it before it happens and be ready to act to survive. Sibley, Iowa — A Winona, Minnesota man faces felony charges after an incident on Highway 60 on Wednesday, March 21, 2018. According to court records, the Osceola County Sheriff’s Office received a 911 call on Wednesday that stated that someone was assaulting an older gentleman on Highway 60 near 250th Street. They say that the deputy responded and spoke with the reporting party and the victim, who was injured. The suspect, 28-year-old Ivie Thomas Popplewell III of Winona, Minnesota “took off running” according to court records, but was apprehended. Court records indicate the victim is Popplewell’s father. The Osceola County Sheriff’s Office says Popplewell faces a charge of Assault Causing Serious Injury, a Class D Felony. They report that Popplewell was taken to the Osceola County Jail, where, at last report, he was being held on a $5000 bond. Sibley, Iowa — A Sibley man faces a felony charge of possession of contraband in a correctional facility after an incident on Wednesday, March 21st. According to court records, 50-year-old Scott Alan Harms of Sibley was arrested on a Driving While Suspended charge after a report of a suspicious person outside the Sibley Inn. The court records say the Osceola County Deputy brought Harms back to the Sheriff’s Office for further testing. After further testing, Harms was changed out of his clothes to be placed in his cell. Court records say that after Harms was placed in his cell, a search of his clothes turned up a used glass pipe. They say it was tested in the office and tested positive for methamphetamine. Then they say the pipe was sent out for further testing and analysis. Harms was then additionally charged with Possession of Contraband in Correctional Institution, a Class D Felony; Possession of Controlled Substance – Methamphetamine, 2nd Offense, an Aggravated Misdemeanor; and Possession of Drug Paraphernalia, a Simple Misdemeanor. The Sheriff’s Office says at last report he was being held in jail on a $5000 bond.